With the game officially releasing on consoles in four days, there has been a steady stream of new footage flowing, along with a few more details on the next installment of this almost decade old series. First off, a few people have been lucky enough to get a copy of the game before it’s initial release, and were kind enough to provide us all with the first sixty minutes of Syndicate’s storyline on PlayStation 4. Along with this, we also now know the file size of the day one patch, which is surprisingly smaller than may have been expected. Let’s begin with the gameplay that introduces us to the main protagonists, as well as the new sprawling open-world of Victorian era London. 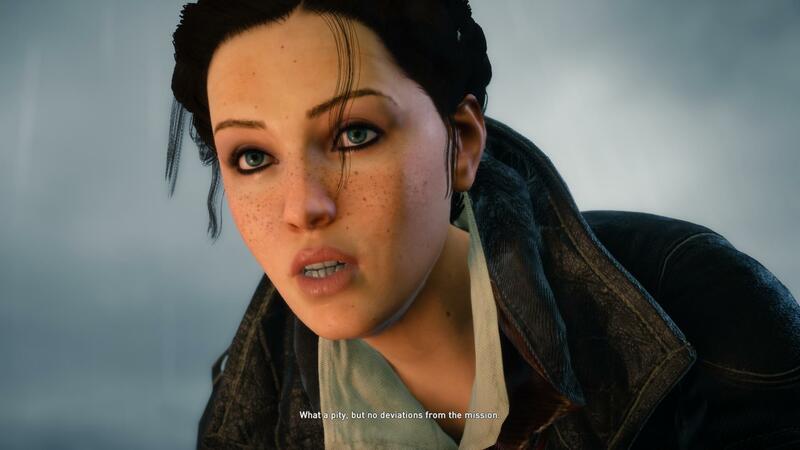 With this being Assassin’s Creed first trip to London, as well as the most recent time-period we have experienced, it is shaping up to be a refreshing release for the franchise. We start off with the Frye twins initiating the very first assassinations of the game, although they split up before the action starts. With Jacob eliminating the targets, and Evie going in search of a newly discovered Piece of Eden. During this introductory mission we can see that the overall mechanics of the game seem to be fairly smooth, while it also seems that Ubisoft has touched up areas where any hiccups may have occurred as players are free-running. Additionally, we are able to get a firsthand look at the new stealth ring and sneak mode. What the stealth ring does is take the arrows from past Assassin’s Creed games which showed you any enemies that had you in their line of sight and sticks them onto a white ring around the main protagonist. While the addition of this may seem annoying to some, the stealth ring can also alert you to enemies that are above and below your current position. Therefore opening the door to a feature that could greatly improve stealth tactics overall. On the other hand, what sneak mode basically does for players is allows them to move about more quickly while also making it more difficult for enemies to get you in their line of sight. 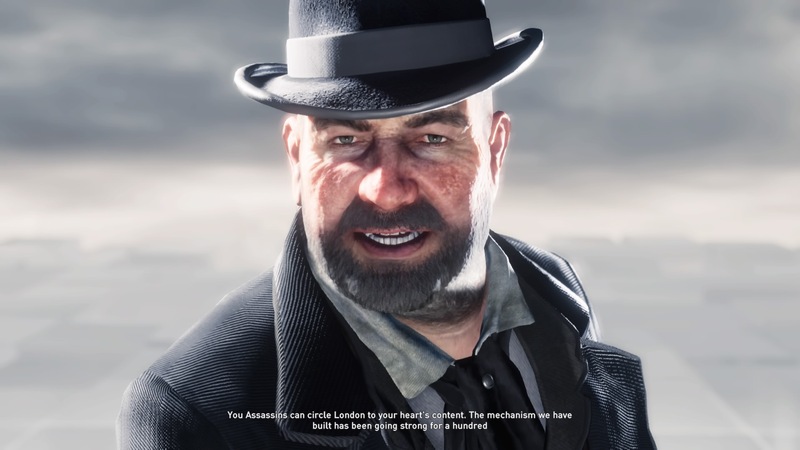 Other than the first sixty minutes of gameplay, the size of the day one patch has also been revealed by one of the few people that were able to obtain a retail copy of Syndicate before its official release. Surprisingly enough, this patch will be much smaller than the almost 7 GB patch that was needed to fix all of the bugs and issues that had occurred in Unity. What is the size of the initial day one patch you say? Only about 534 MB. What this says to me is that Ubisoft may have finally realized some of their many faults from the multitude of past Assassin’s Creed titles, and have made some of the necessary improvements to the game ahead of its launch. Although, we will all just have to wait and see if this is truly the case, or if there will still be bugs and glitches that need to be addressed. Besides the patch size, and the actual game which is currently being livestreamed on Twitch by some lucky gamers, there have also been a few new screenshots going around the internet from the PlayStation 4 version. They seem to render in 1080p, which would be great to see after Unity’s 900p resolution. Although, this is not an official confirmation of the resolution, so don’t get your hopes up for Syndicate’s actual resolution just yet. 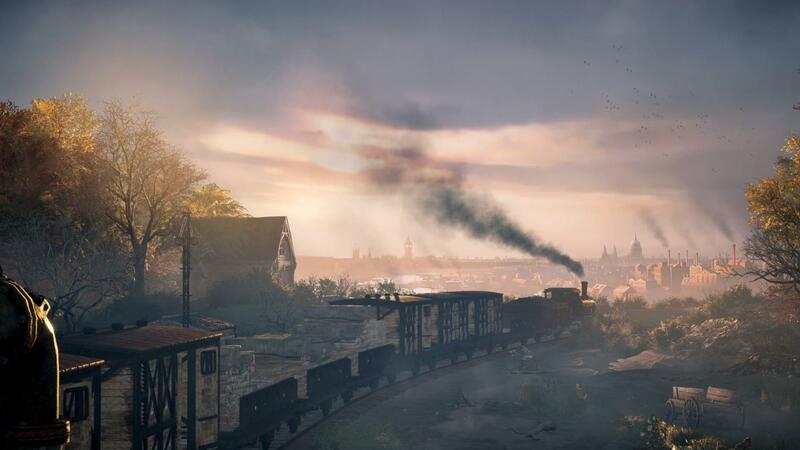 Assassin’s Creed Syndicate is launching this Friday for Xbox One and PlayStation 4. With the PC release being held off until November 19th. Dazee, coolbunnymodz, Ultra Pikey and 2 others like this.